you really know someone called Wade Muggleton? What a great name!! Glad you had a respite from the rain. We have had NO RESPITE from the heat. Temperatures are higher than ever. 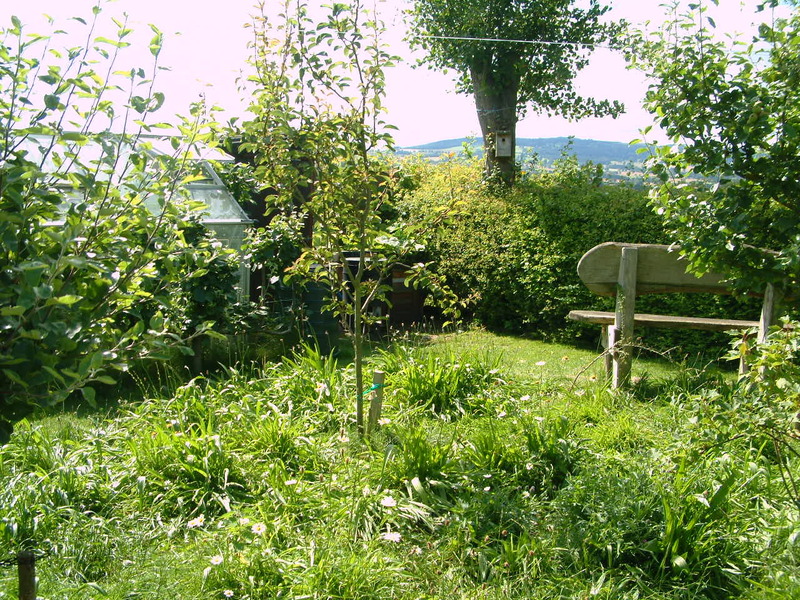 Yes, he’s a lovely man… expert tree grafter and all-round fantastic gardener! Apparently the jet stream is now moving north from us so, maybe, this will have a knock-on effect and cool things down a bit for you. Mmm, lovely sunshine, it sure picks us up. 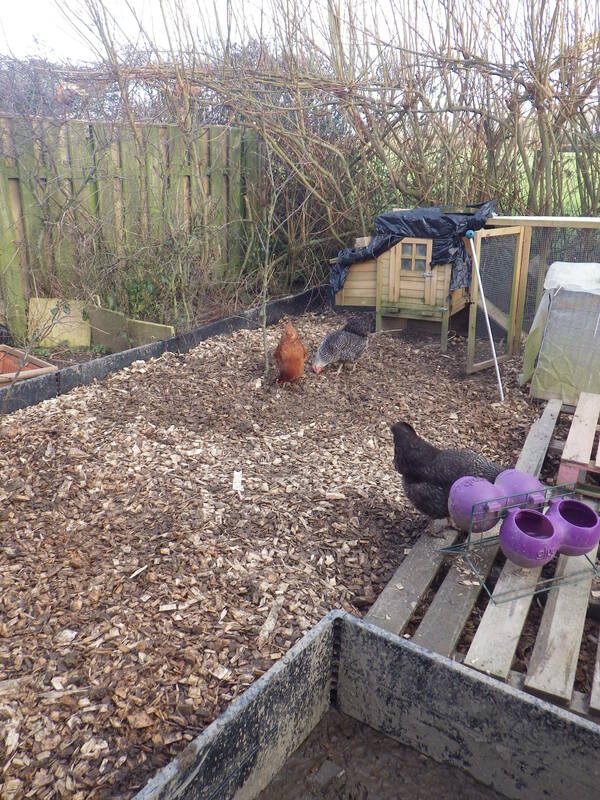 I’m always interested in other people’s chook pens….can you tell me about yours ….in the last pic are they garden beds there, and it looks like a platform the girls are standing on? My chooks have a jungle type run, I don’t think it will ever get like your friend’s, they scratch up the grass too quickly, but there’s a deep canopy overhead, plus citrus trees, a mulberry tree and small ornamental shrubs for them to go right underneath on very hot days or to hide from possible predators. Very hot and humid here, but thunderstorms predicted….some rain would be lovely. Our girls mainly live in the area shown in the last two pictures. Because our garden had the soil removed when the house was built (way before we owned it), it is lower than the field behind and so water flows down onto it. 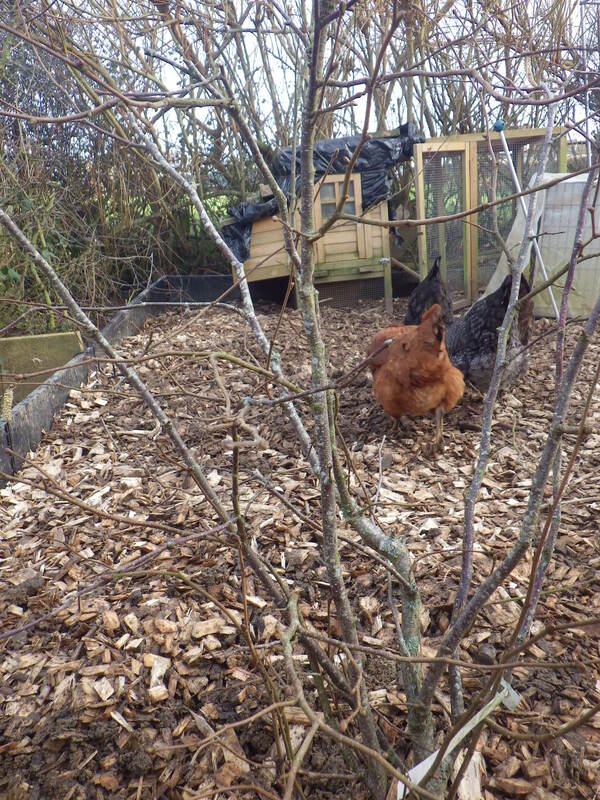 To remedy this, we are gradually building up the level, The chickens’ patch, therefore is surrounded by plastic link-a-boards (which you can see at the front of the final picture) and we have been filling it up with sand and woodchip over a number of years. There is a bed off to the right in the last picture and before we had the chickens I used to grow squashes in here, which I trained up the fence. Since the arrival of the hens, I have planted this with a hazel and a Siberian pea shrub. 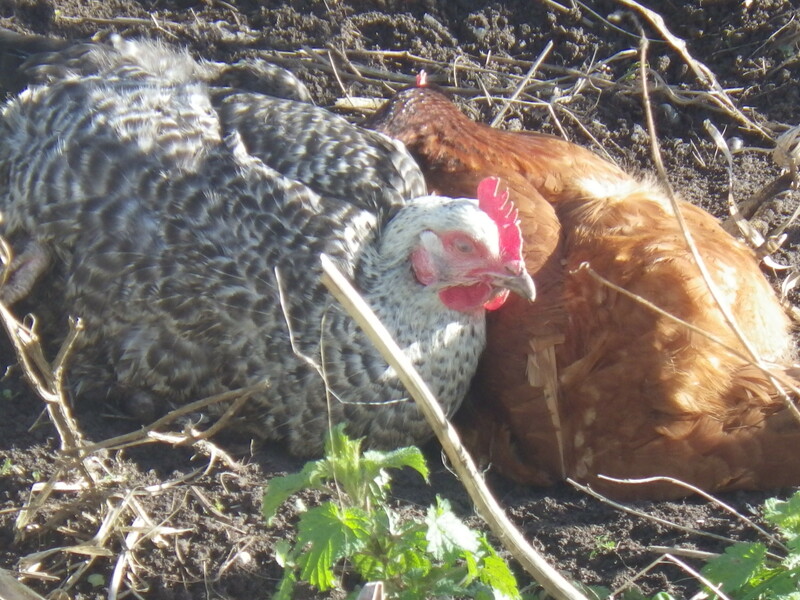 The hens also forage under the hedge in the background. At certain times of the year they are allowed into the fruit cage and the vegetable beds to do a bit of ‘cleaning’ and fertilising. I am sending wishes for rain your way… we certainly don’t need any more here for a while!! You may need to protect the roots from your Girls’ attentions for a while. I found a circle of bricks around the base did the trick. The digging from the planting activities brought worms to the surface and they were on them like a flash. My former run was well shaded with a very large mature tree they could perch in, and there were a couple of volunteer fruit trees that gave the Girls windfalls. Seems like the girls are moving into the executive suite now with raised beds on the way though you’ll never get a mattress to stay in the branches.They seem very content where they are and I’m glad hey’re back to laying again. What a wonderful day without all that rain. We’d love to have some of your rain here in New Mexico! Even though it’s February, we haven’t had hardly a bit of rain all month… some snow in January, but that’s about it. That may sound lovely and all, but it hardly helps our drought. The rest of the USA is freezing their butts off, and we’re breaking out in an early Spring. Blah. Your garden looks great, by the way. I hear that the jet stream is on the move, so fingers crossed we’ll all get a change in the weather. Having said that, it’s raining again here. I would love to see some sunshine in our neck of the woods. The temp here yesterday was 7 degrees! Oh no… back to rain here today! Glad to see you had a rain break. Your chickens are living large! Another day without rain today… this is becoming a habit!! How are your chickens enjoying the Siberian Pea Shrub? I really fancy experimenting with some, but have never found anyone who has combined them with chickens first hand! It’s very small at the moment and protected from pecking, but I’m hoping it will add to the soil fertility and provide an extra source of food for the hens. I’ll come back to you in a couple of years then!